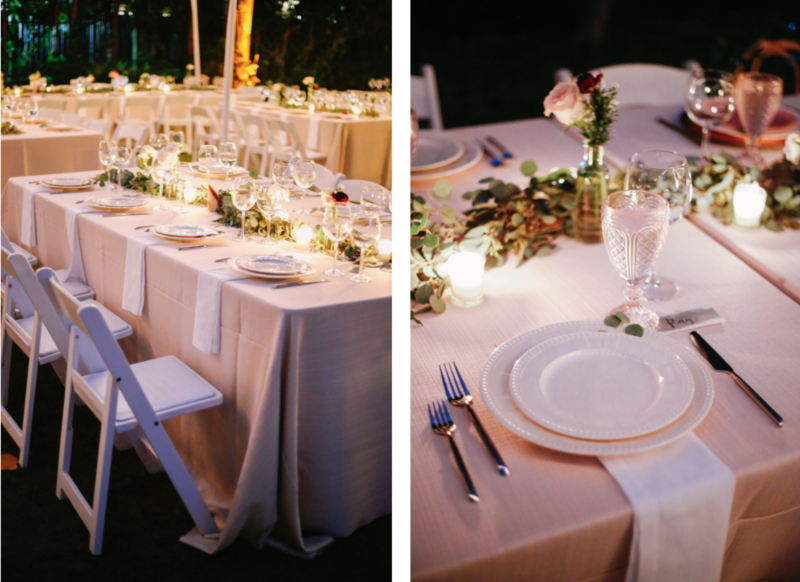 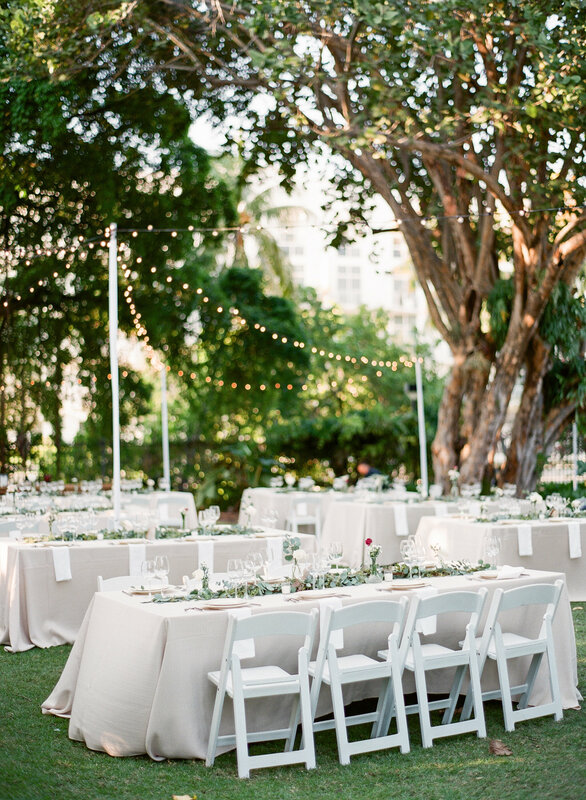 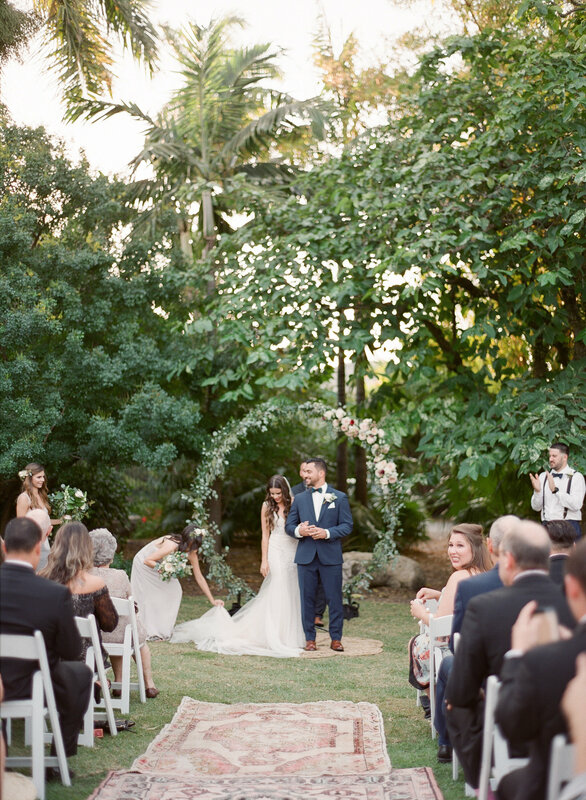 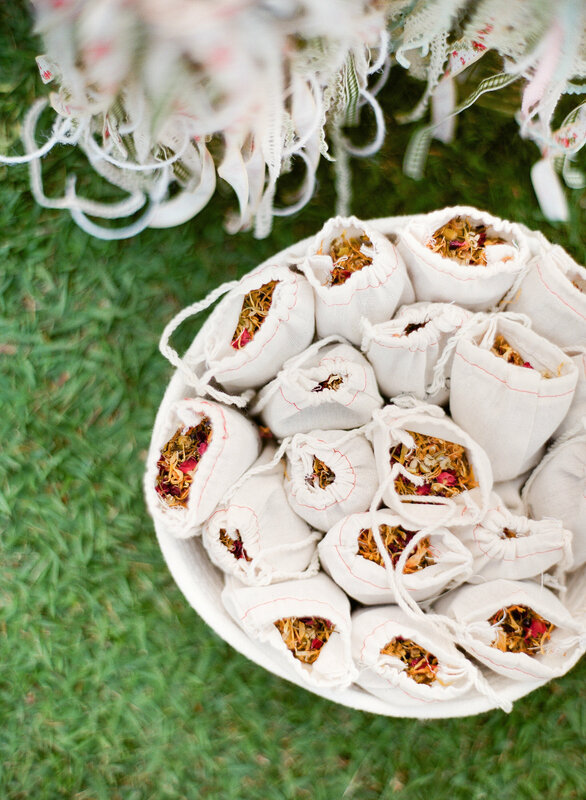 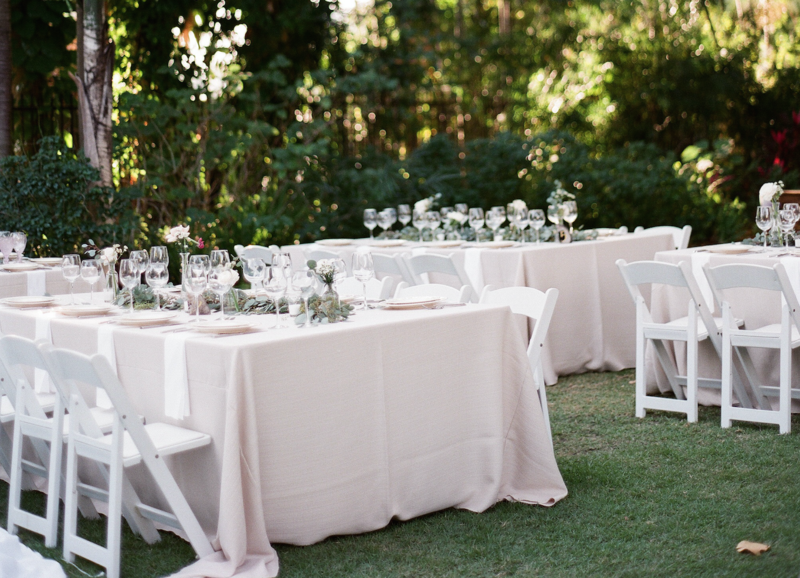 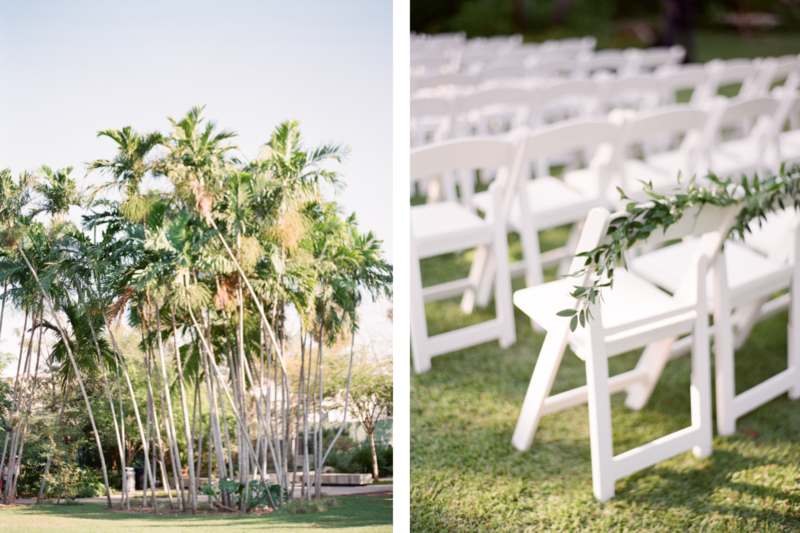 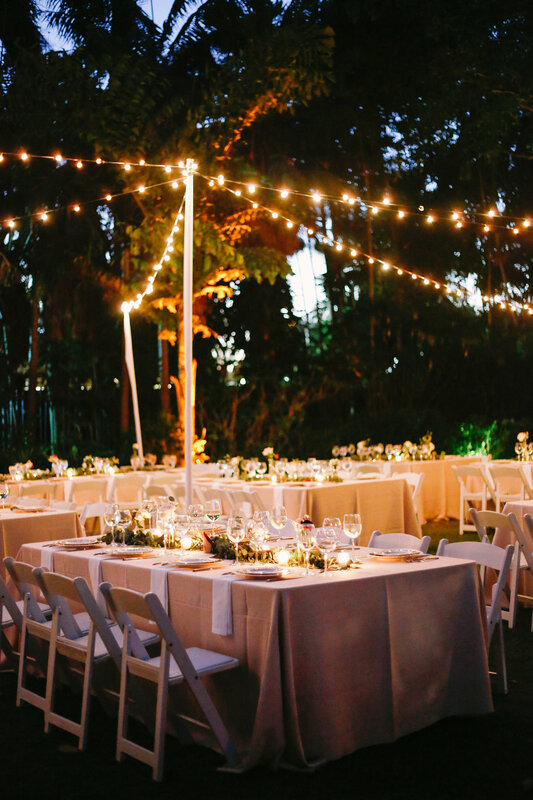 Katrina & Zeky dreamed about planning an unforgettable Boho Chic Garden Wedding in Miami Beach. 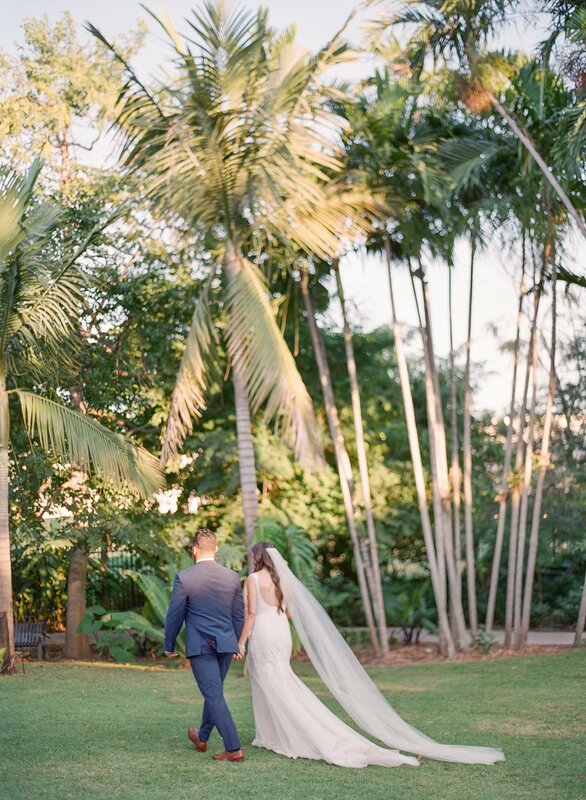 Living in Orlando with families in Miami, their perfect spot to celebrate their love story had a place in Miami Beach Botanical Gardens. 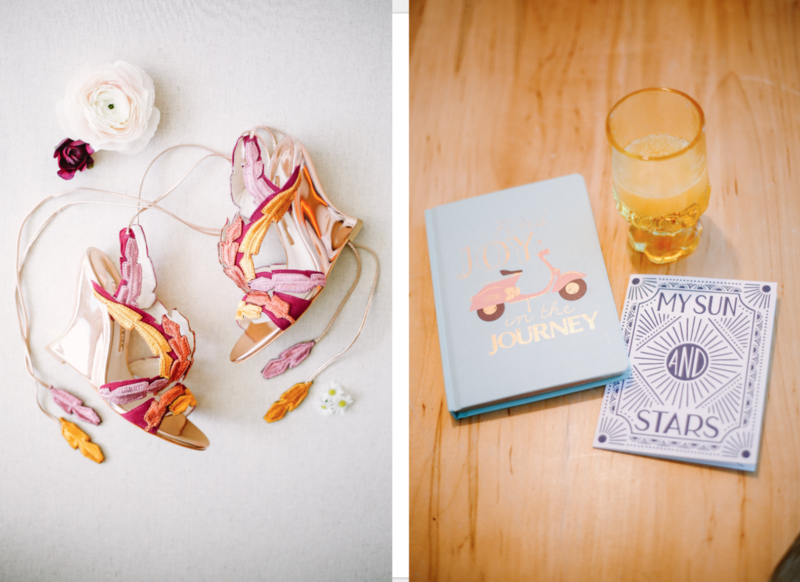 Katri was seeking for a unique style and vibe for her wedding day. 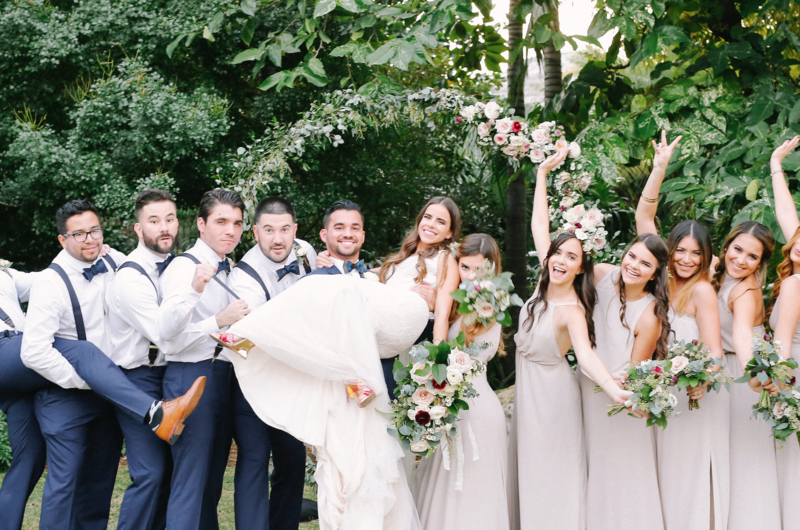 She had it clear she wanted to be an active part of her wedding. 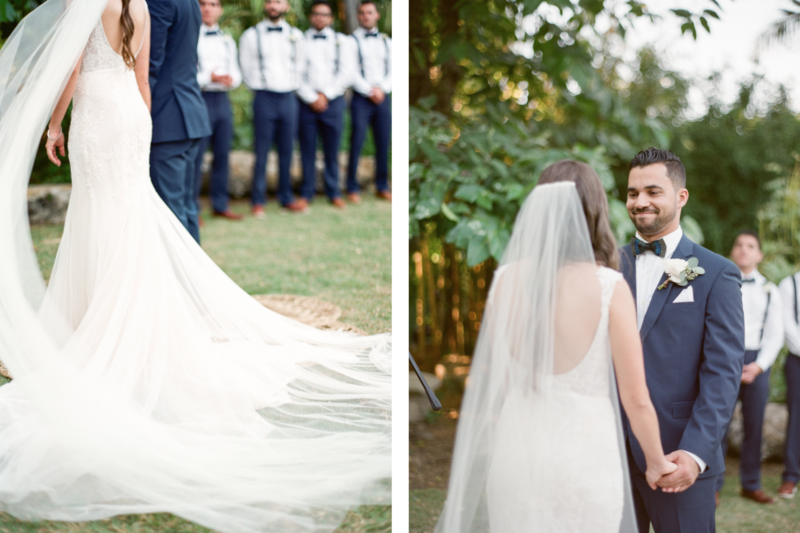 Together with our team at the studio, we planned and styled a lovely Bohemian Chic Wedding with a lot of personal touches. 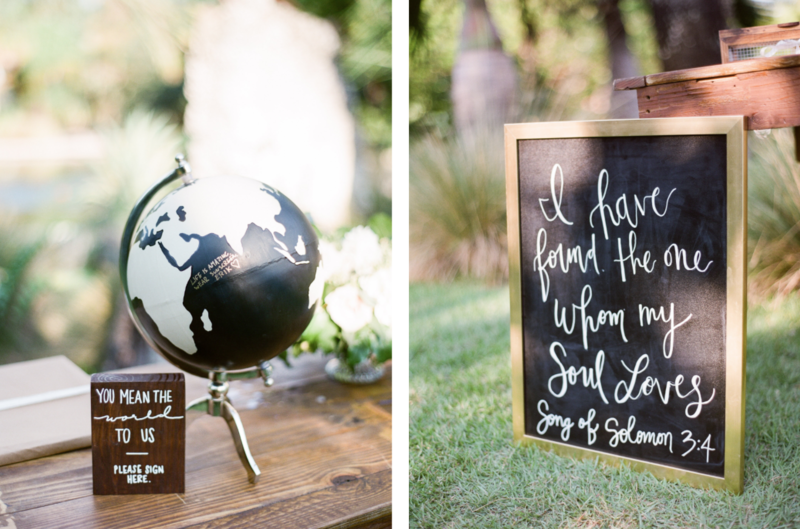 From Zeky’s family members singing at their ceremony to the cool DIY elements and surprises elaborated by themselves. 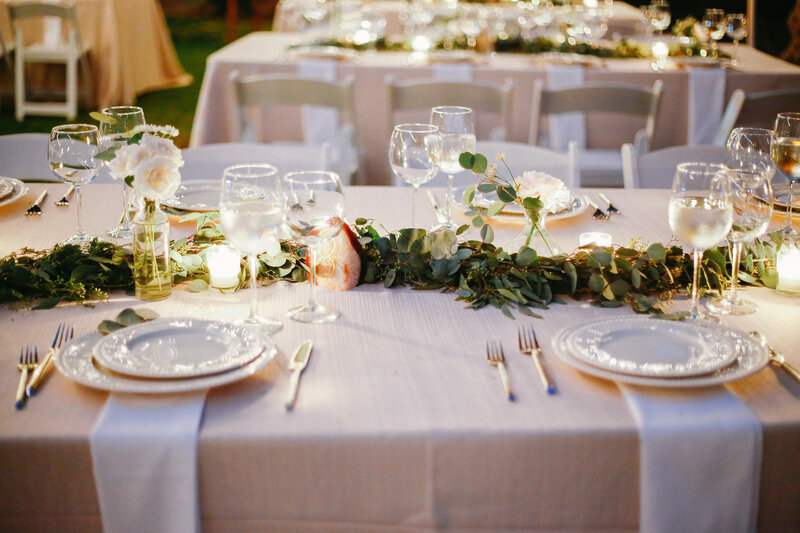 The decor was a beautiful work by The Salvage Snob, combined with the stunning floral work designed by Primrose Florals . 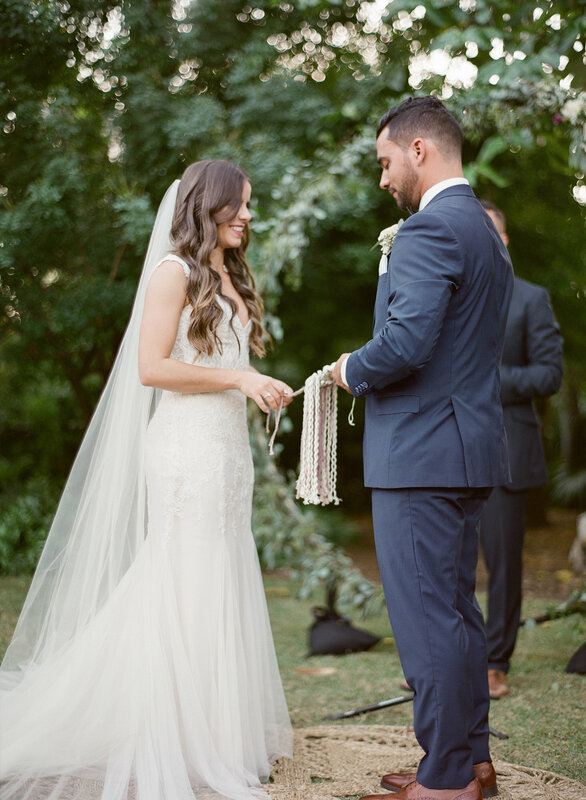 They left us speechless! 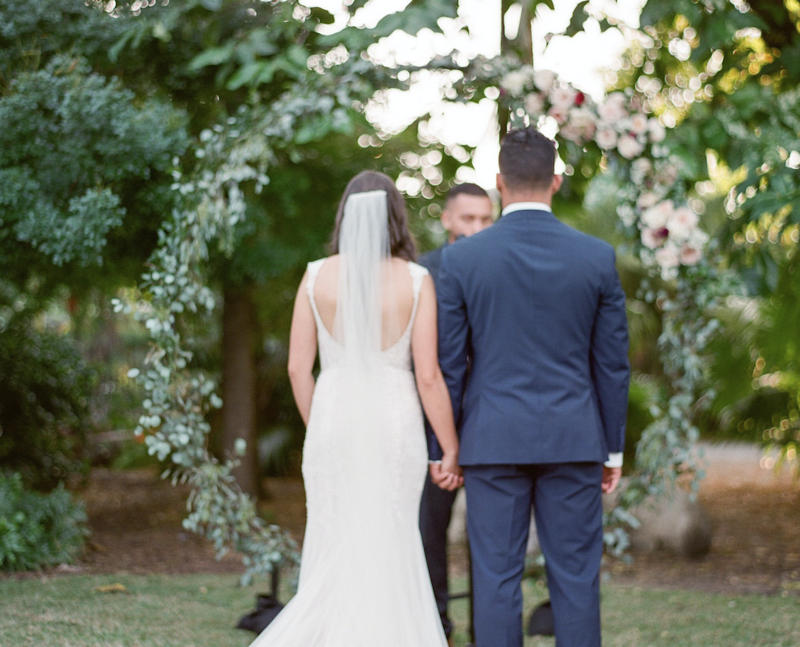 For the ceremony, we chose their round arbor that decorated with those blossoms became a masterpiece! 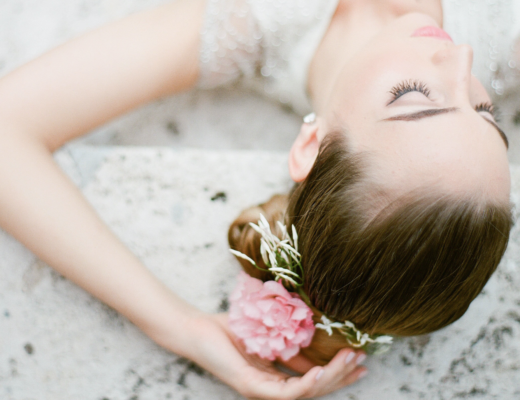 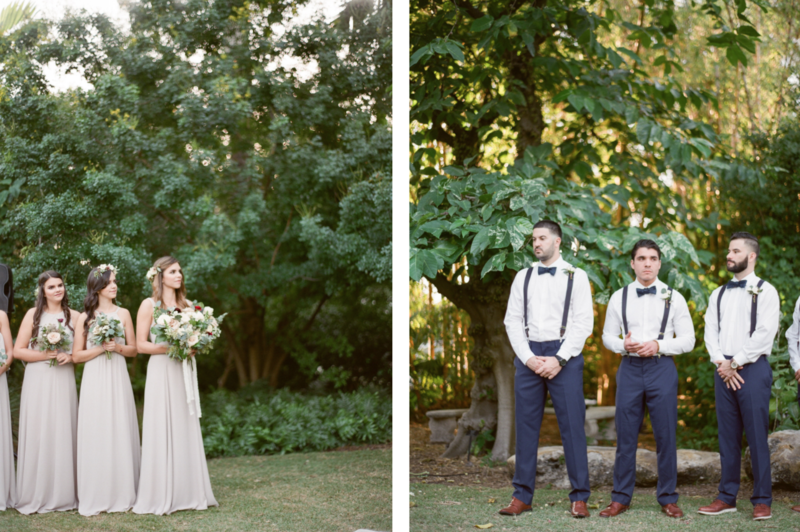 We also worked hand to hand with our beautiful Alisa Ferris to capture the beauty of their day. 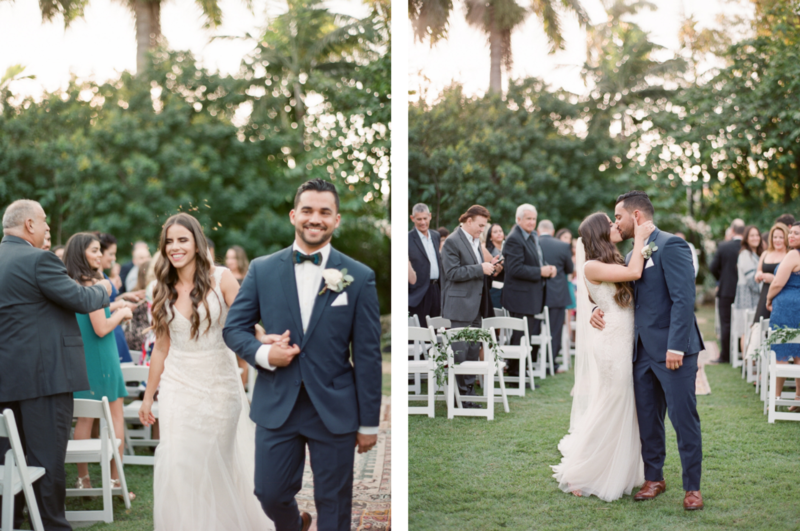 Andy Flores filmed the best moments of the day. 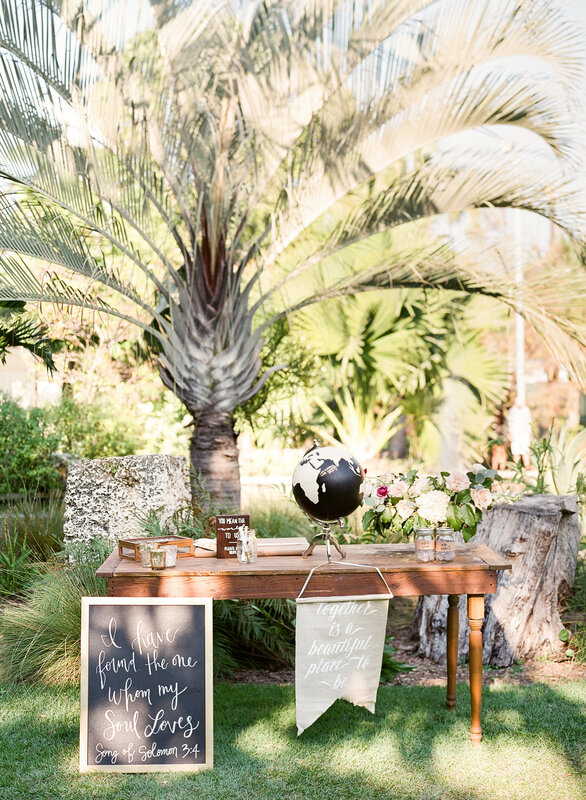 Katri also dreamed having a Dessert Table and a DIY Donut Wall, counting with the sweet and yummy creations by Juli Cantarella. 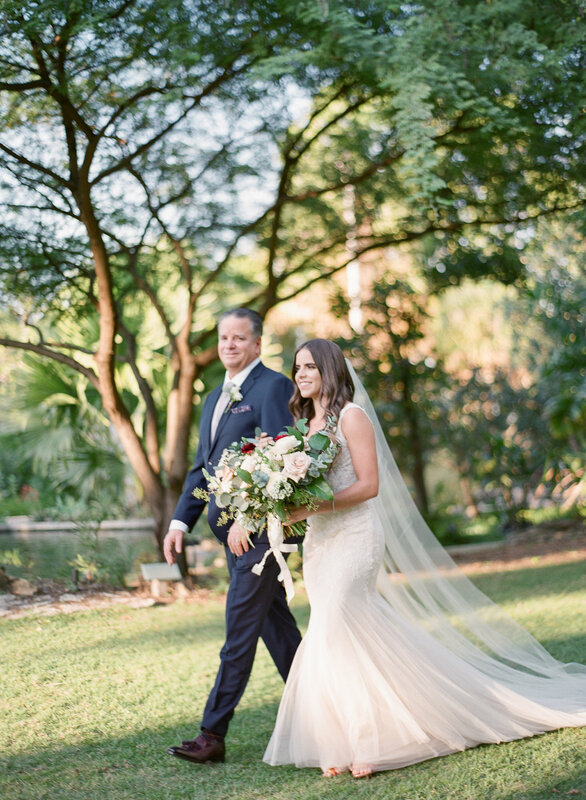 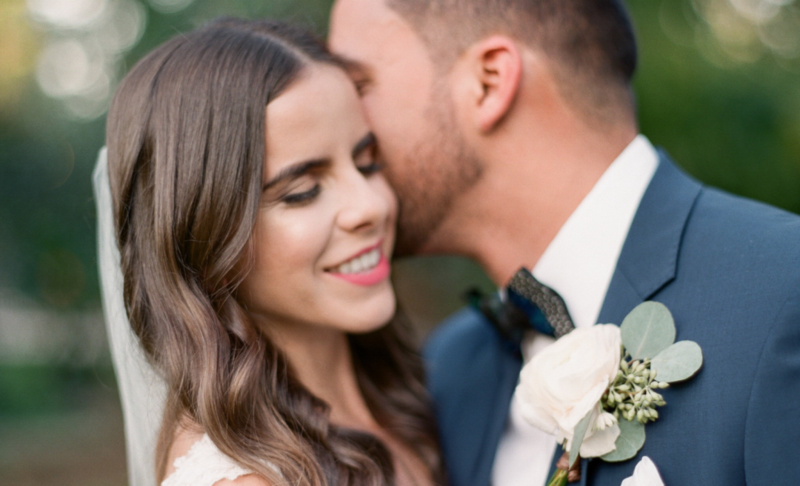 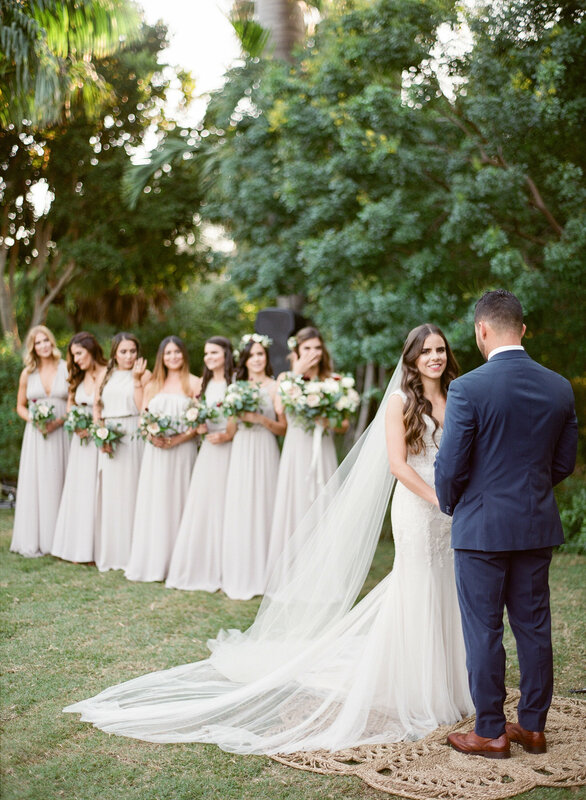 Have a look to our Boho Chic Garden Wedding in Miami Beach…you will fall in love with every single detail of this day and this beautiful couple! 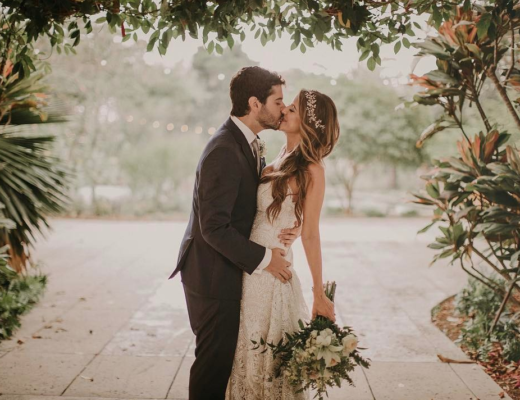 They couldn’t be more beautiful! 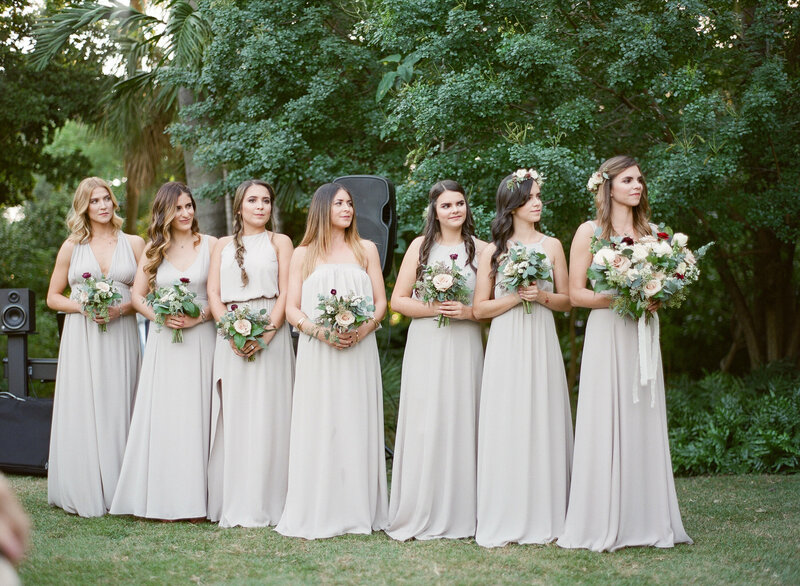 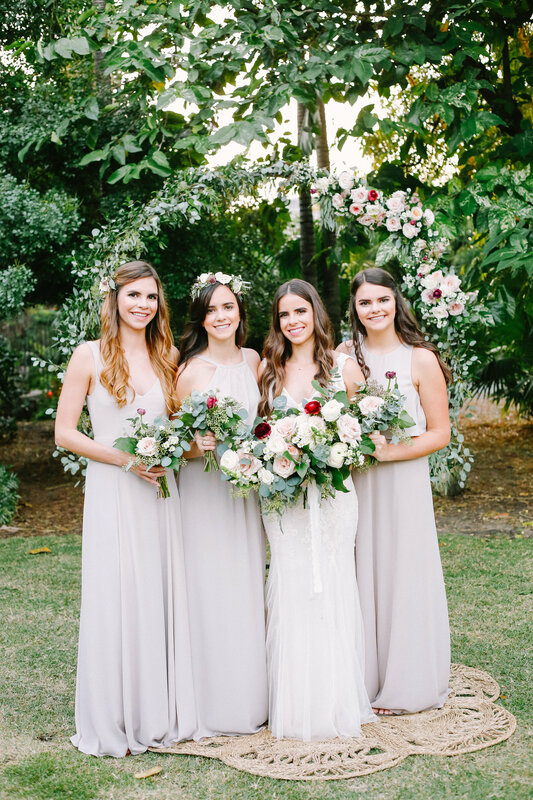 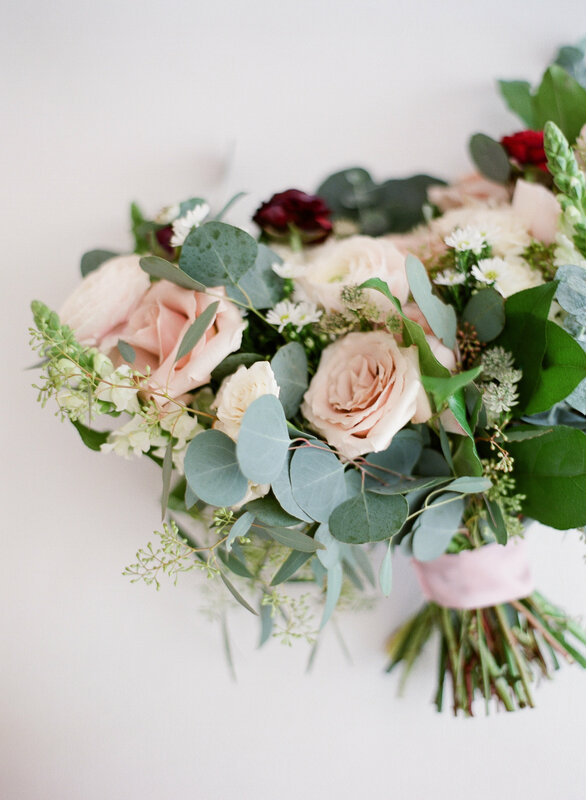 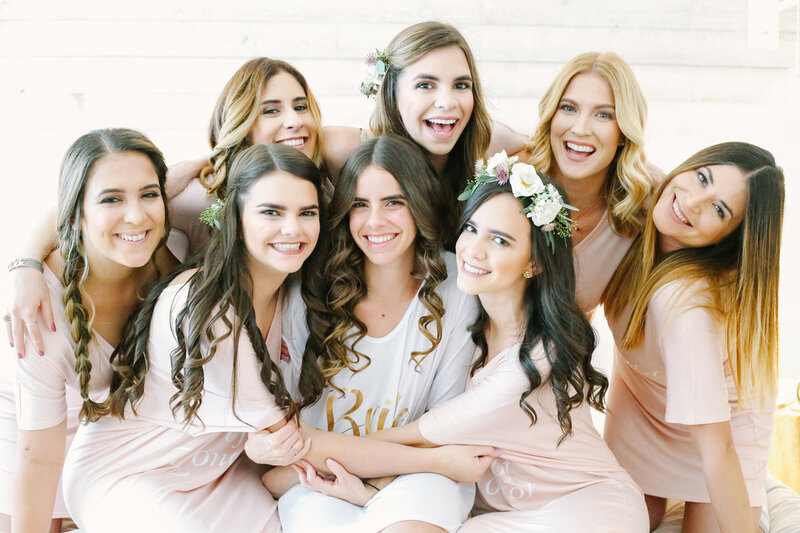 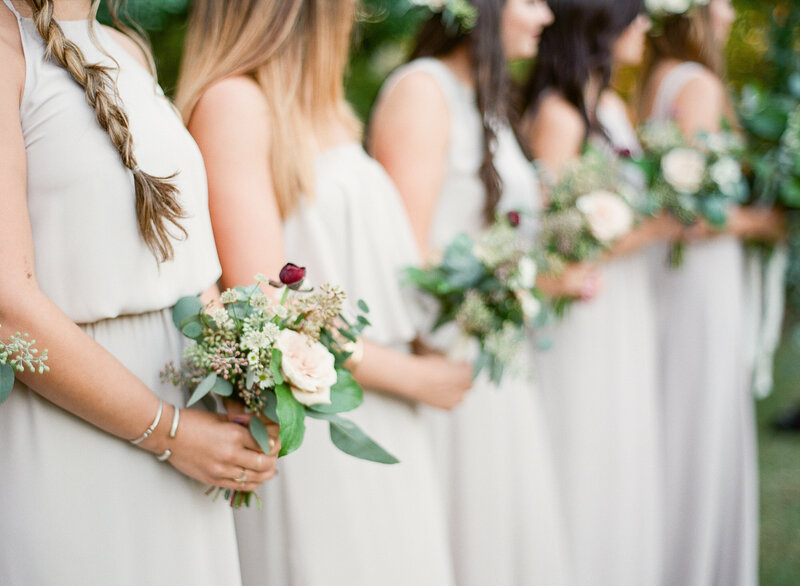 We love the 4 cute sisters of the bride as well as all the details…that bridal bouquet designed by Primrose Florals , bridesmaids wedding dresses from Show me your Mumu and wedding suite stationery, were so delicate and unique! 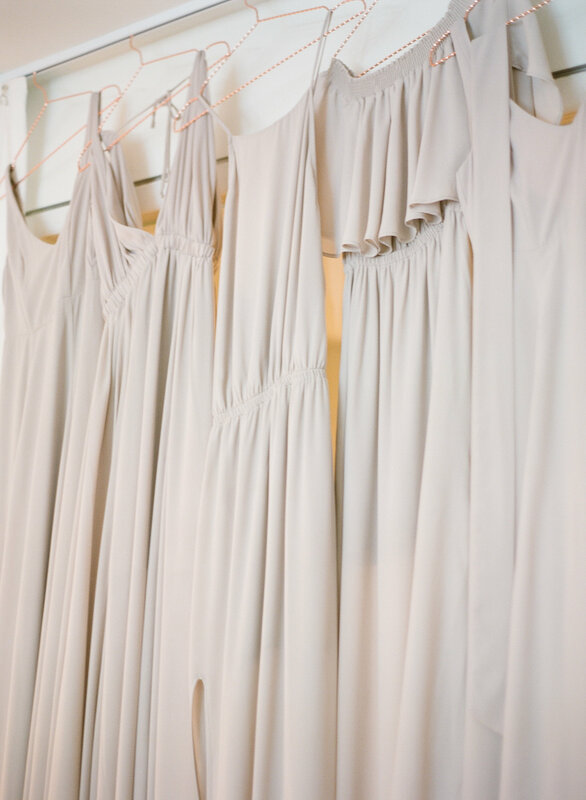 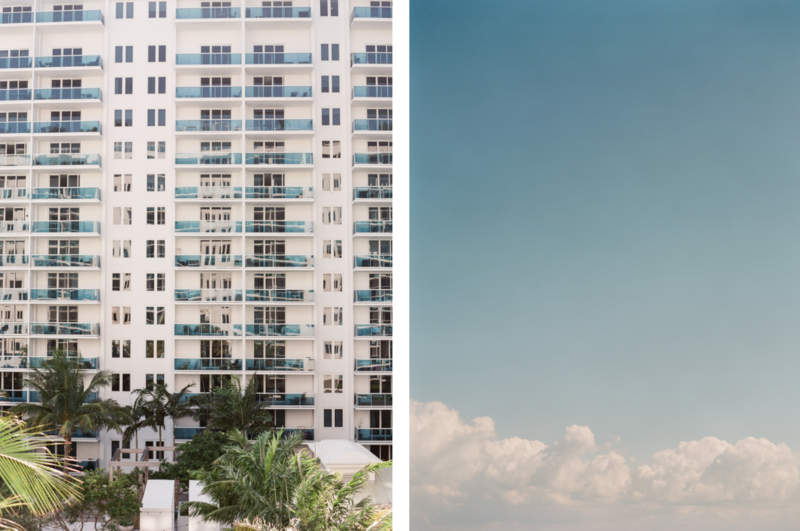 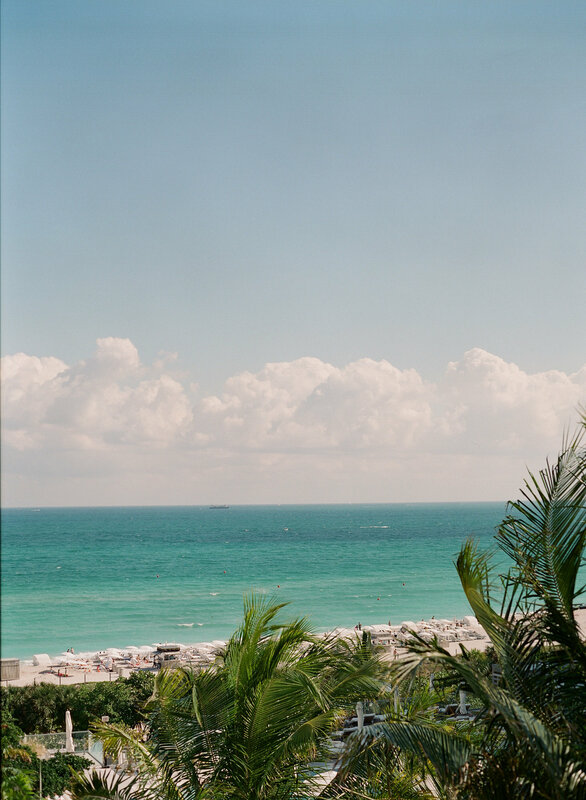 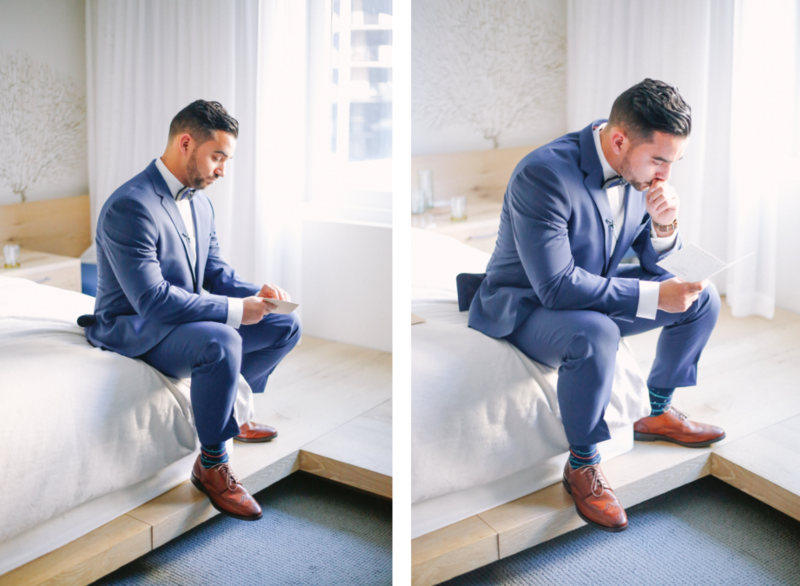 The couple decided to get ready at 1 Hotel, located in Miami Beach. 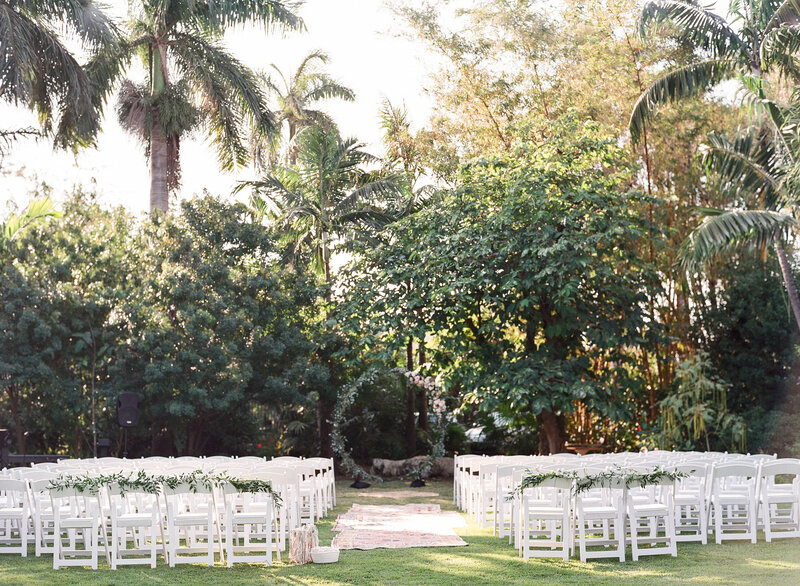 A gorgeous location where they all had a blast between surprises and tears. 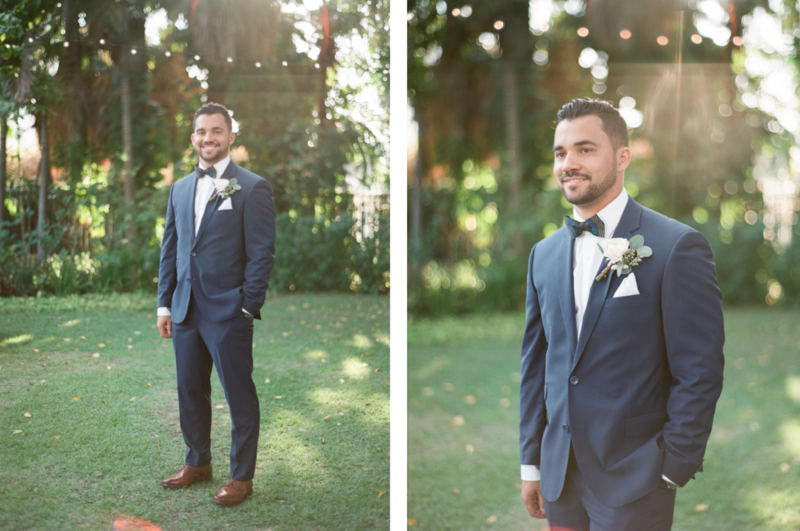 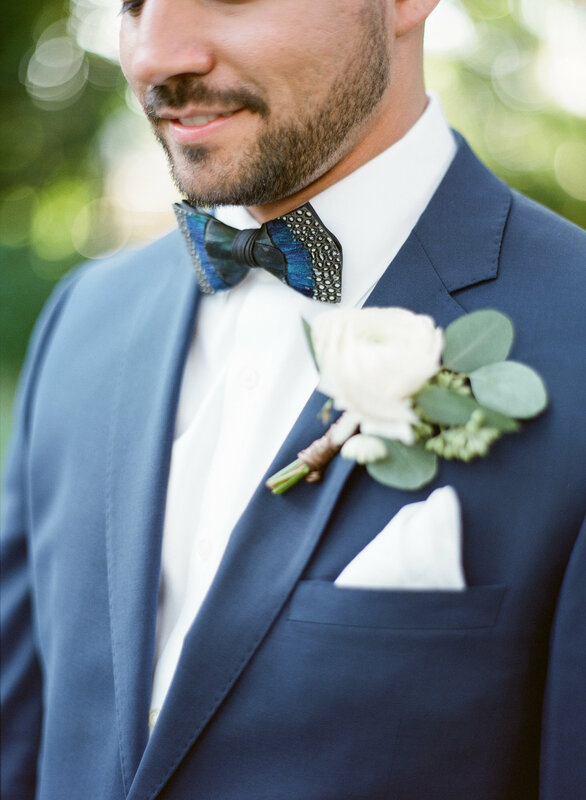 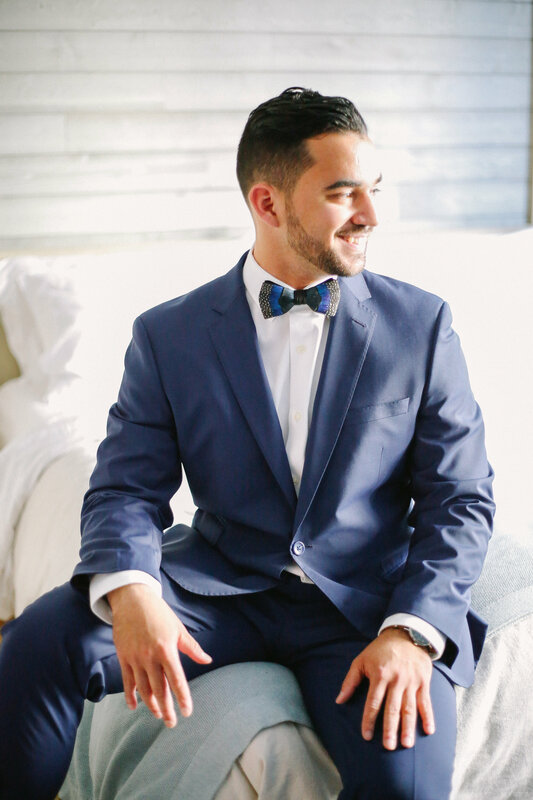 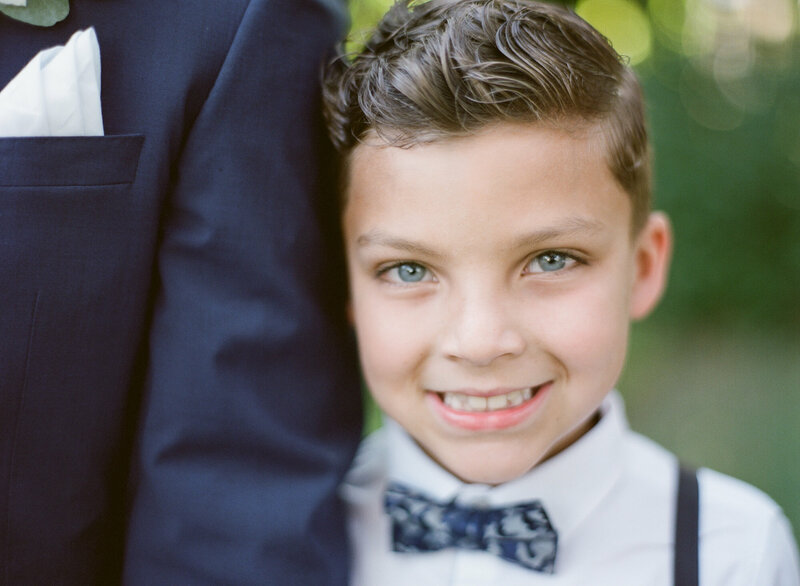 The groom chose an original Brackish Bow Tie combined with an elegant Royal Blue Suit. 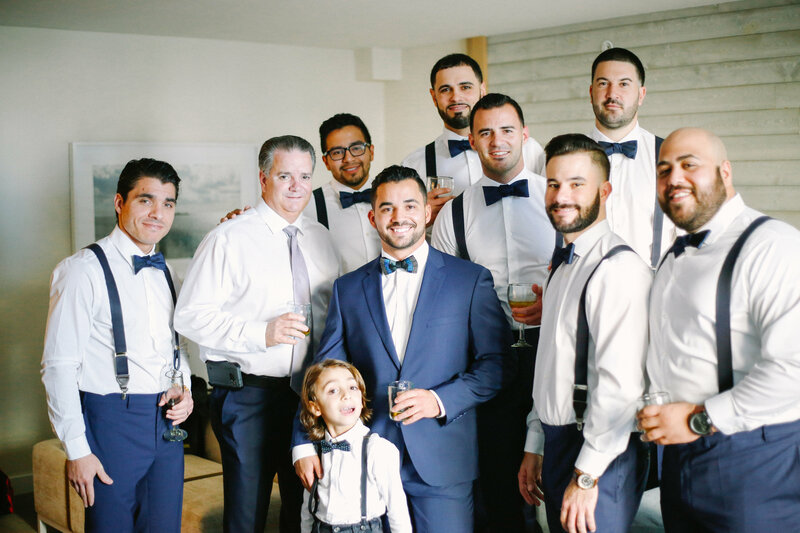 Zeky and his groomsmen got ready in a separate room, where they celebrate together the beginning of the day. 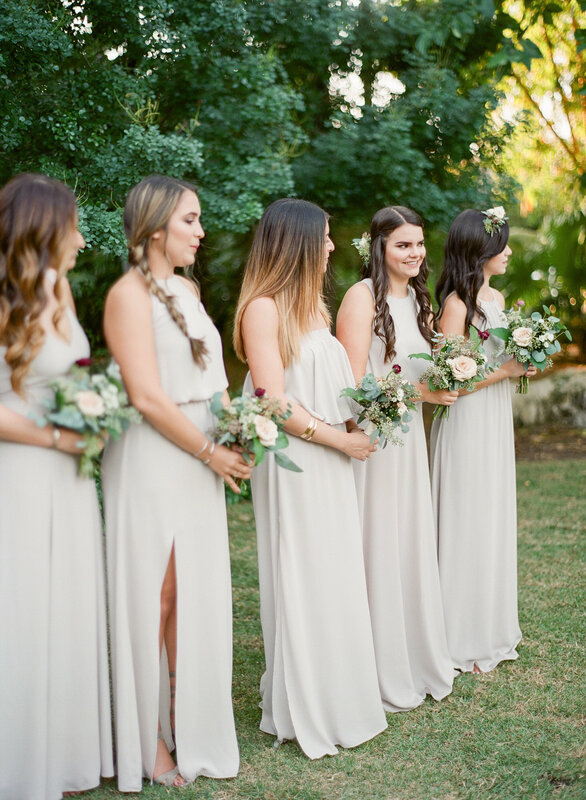 From there, they all head together to the ceremony, located in Miami Beach Botanical Gardens. 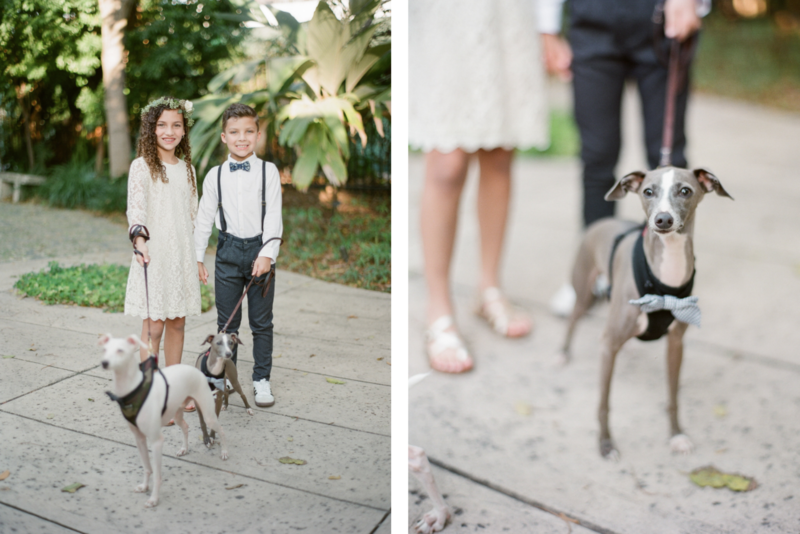 These little furries…were one of the coolest surprise for the wedding guests. 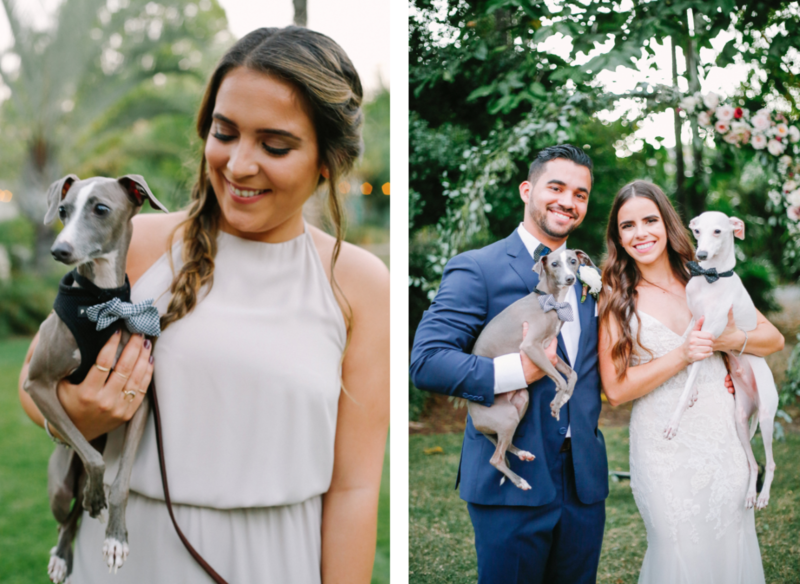 Katri & Zeky are dog lovers and they brought their two puppies from Orlando, as they wanted them to be part of their day. 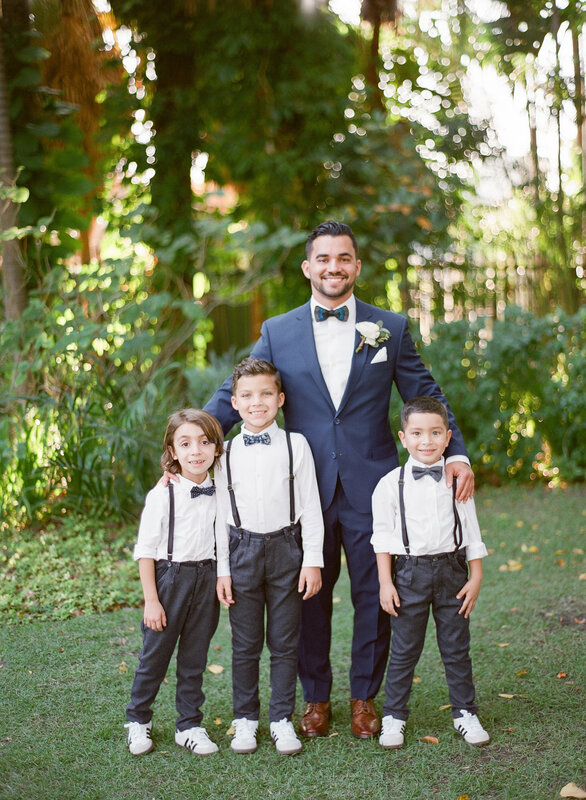 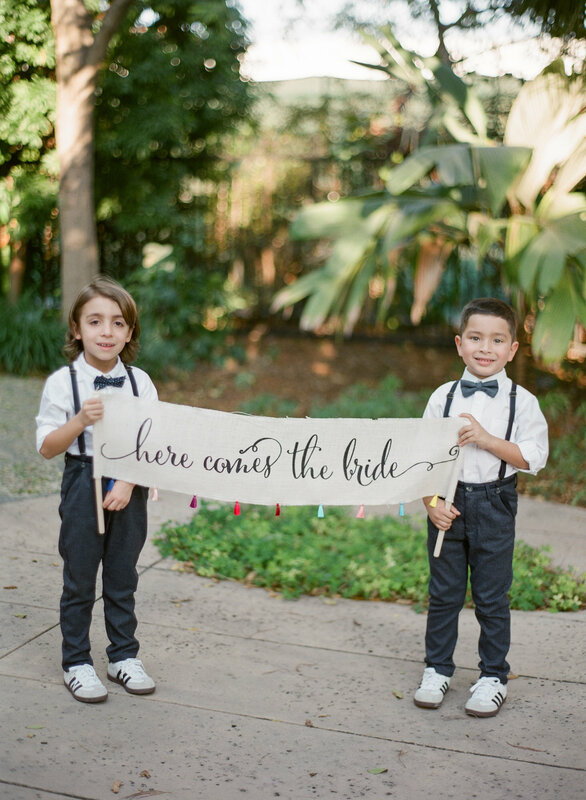 Aren’t they adorable with those cute bow ties? 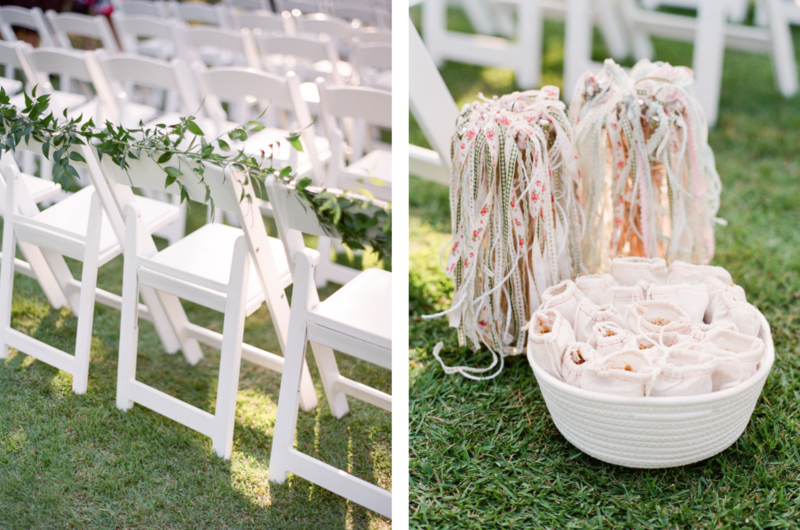 In love with the wonderful ceremony centerpiece. 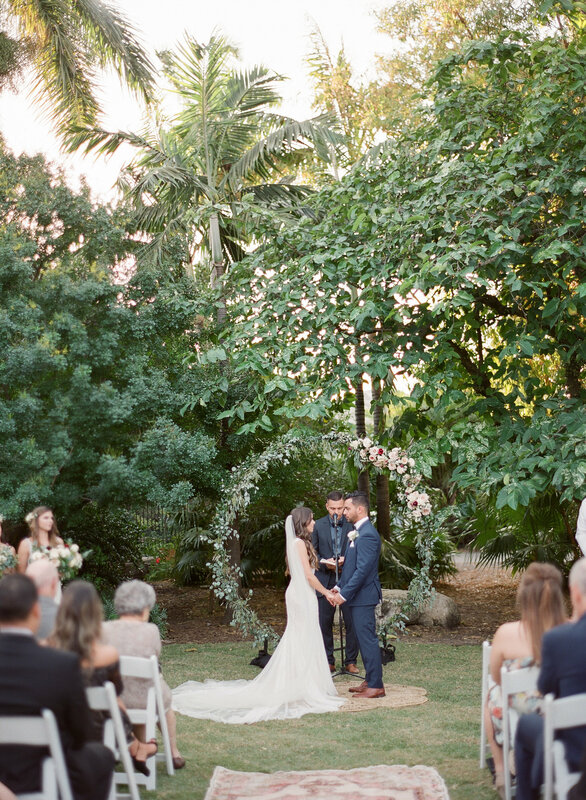 A circular floral arch from The Salvage Snob and decorated by Primrose Florals. 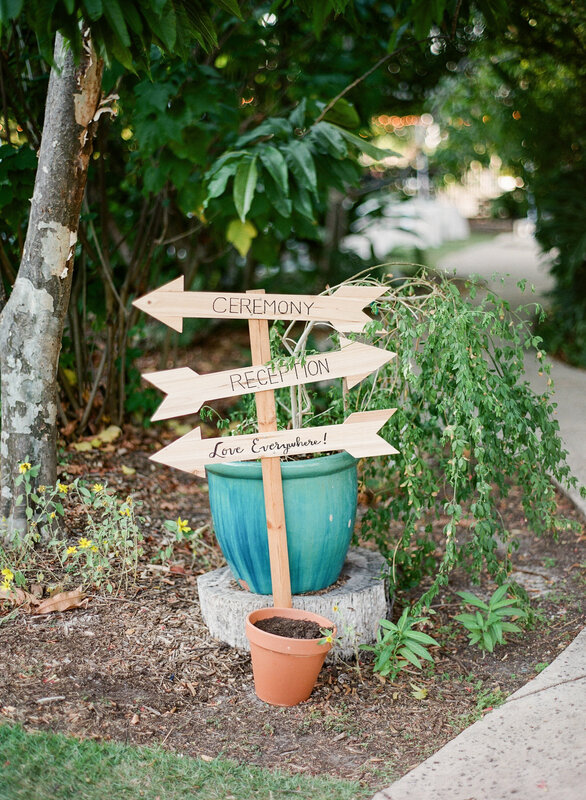 We love a “key component” in all our ceremonies! 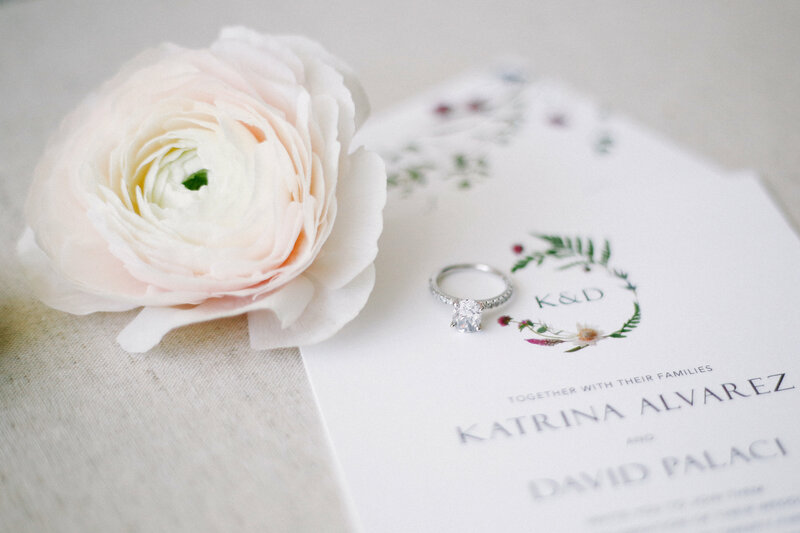 When Katrina told us she wanted something unique…we knew what to get from our partners in crime! 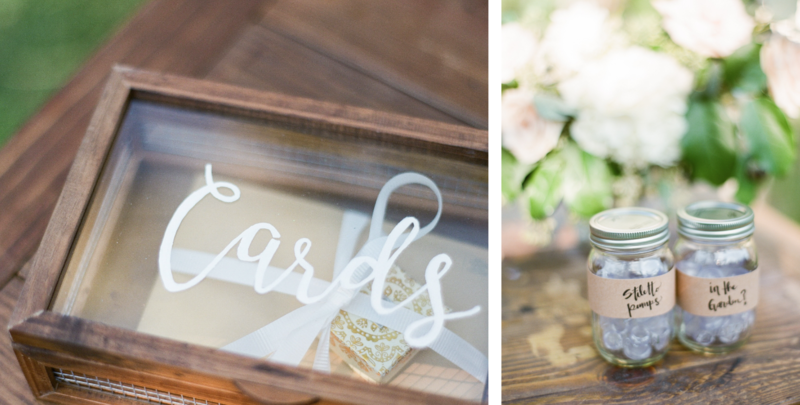 Have a look to all the Creative and DIY details…everything was made by Katri! 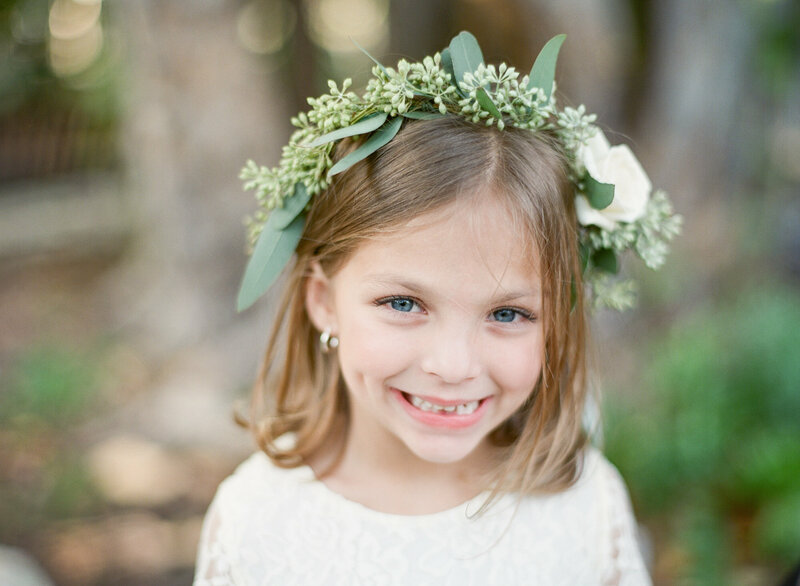 She loves crafts & design! 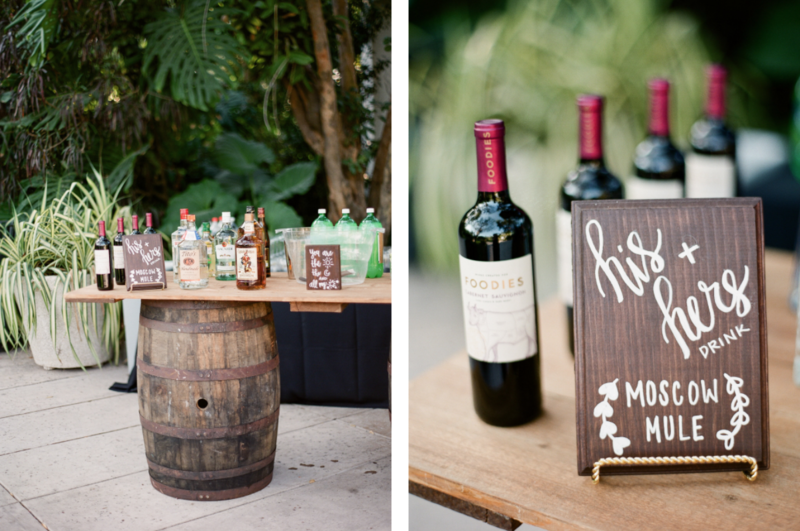 These were part of the Wedding Gifts and Guest Book Corner that we located close to the cocktail hour. 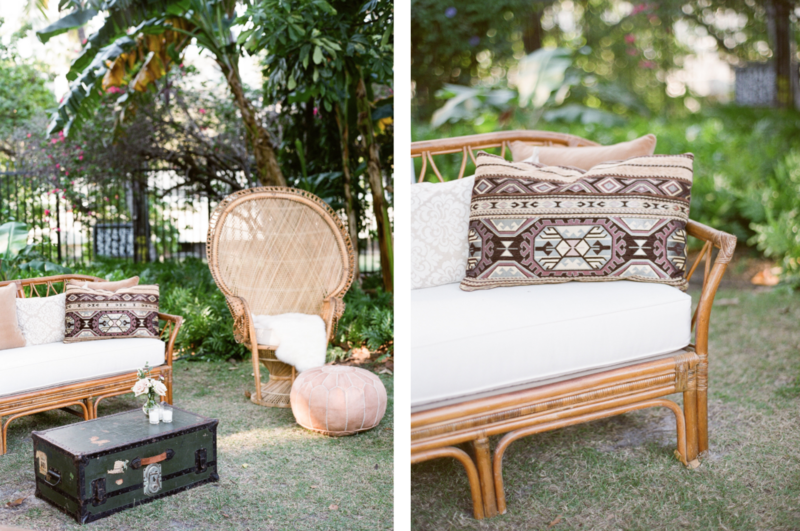 In love with the Boho Chic Lounge Areas that we designed together with The Salvage Snob. 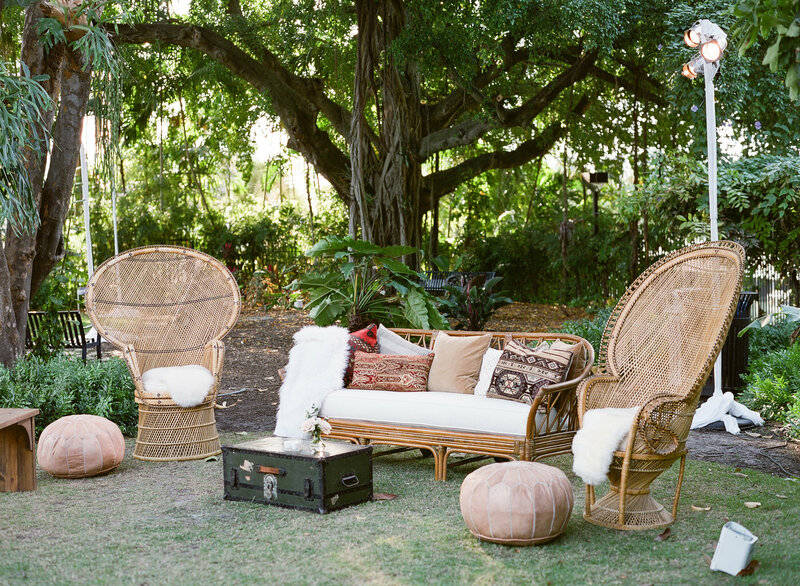 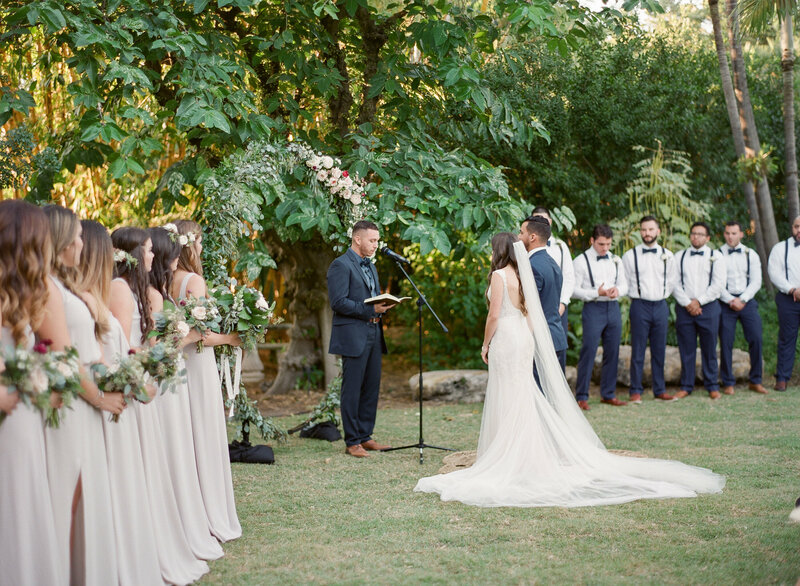 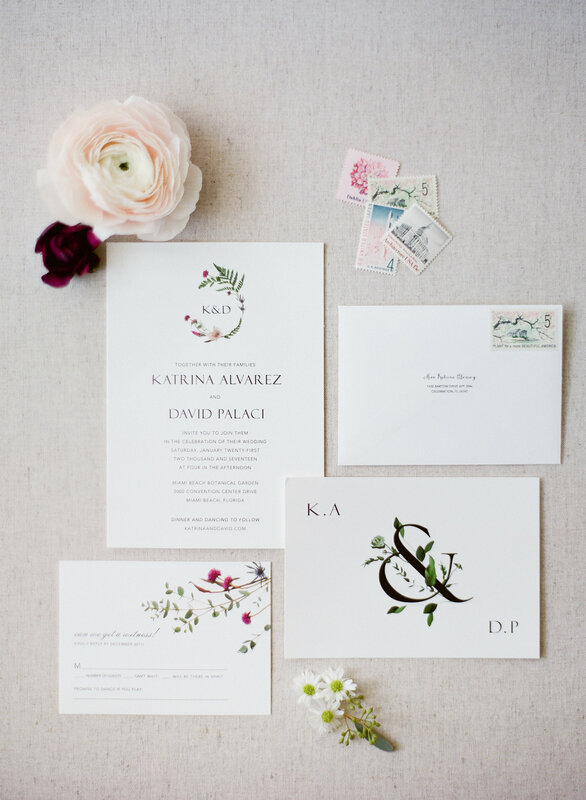 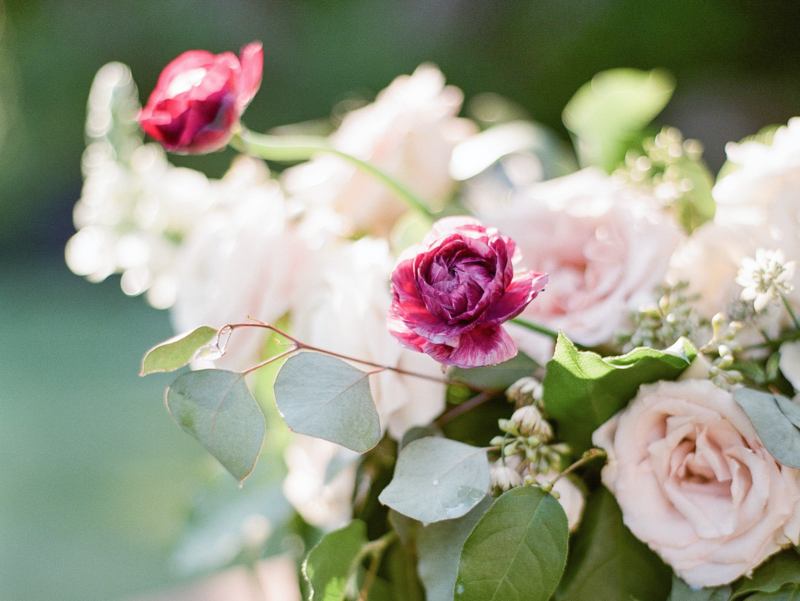 We are true lovers of Bohemian Aesthetic, so this wedding was a pleasure to design it! 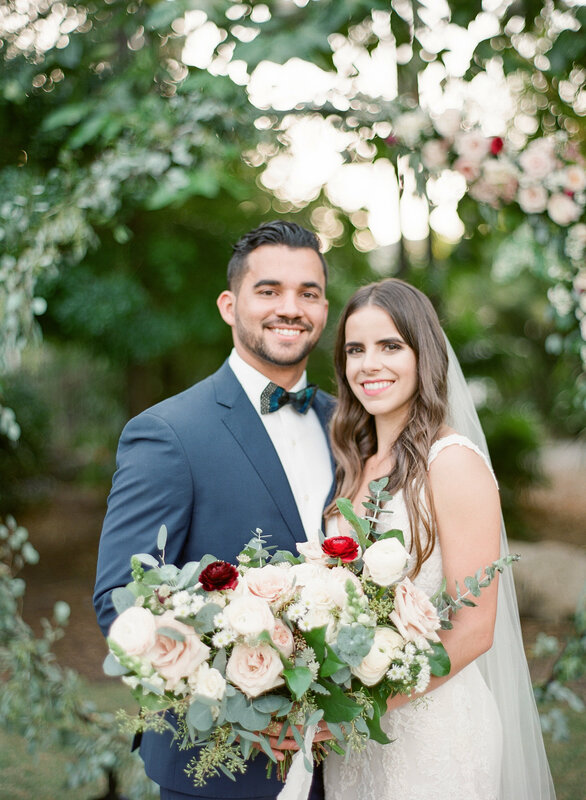 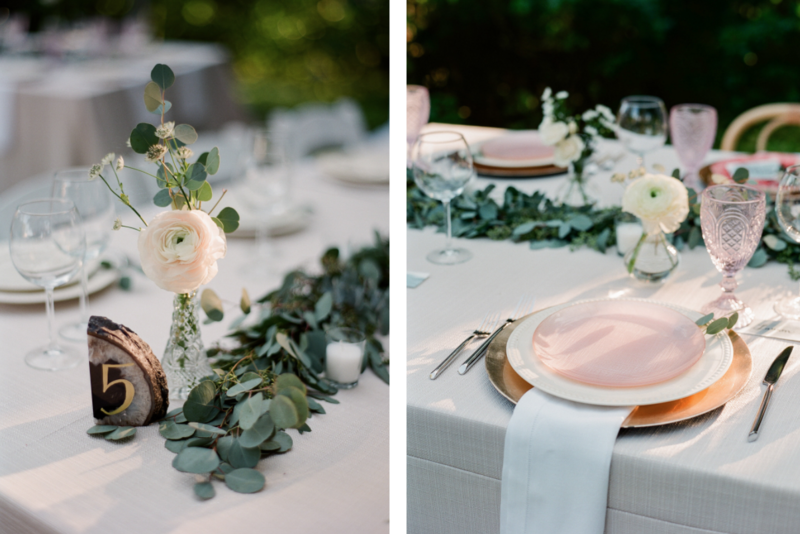 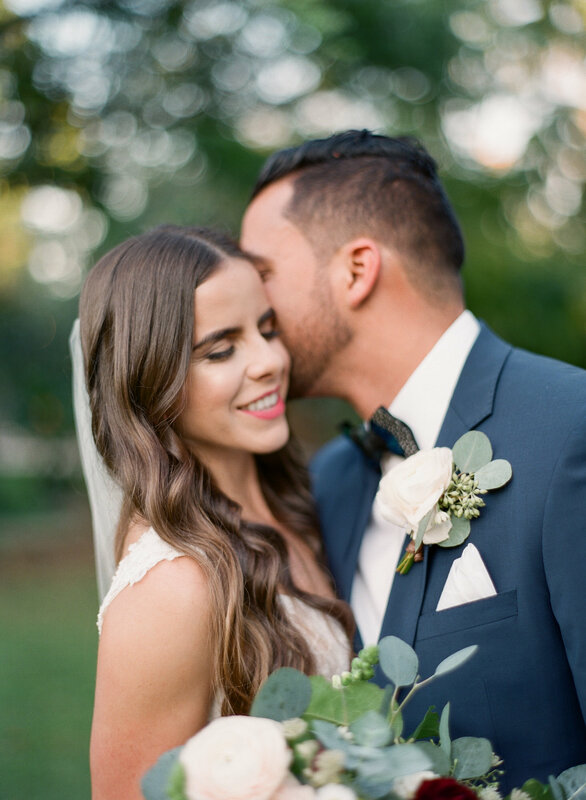 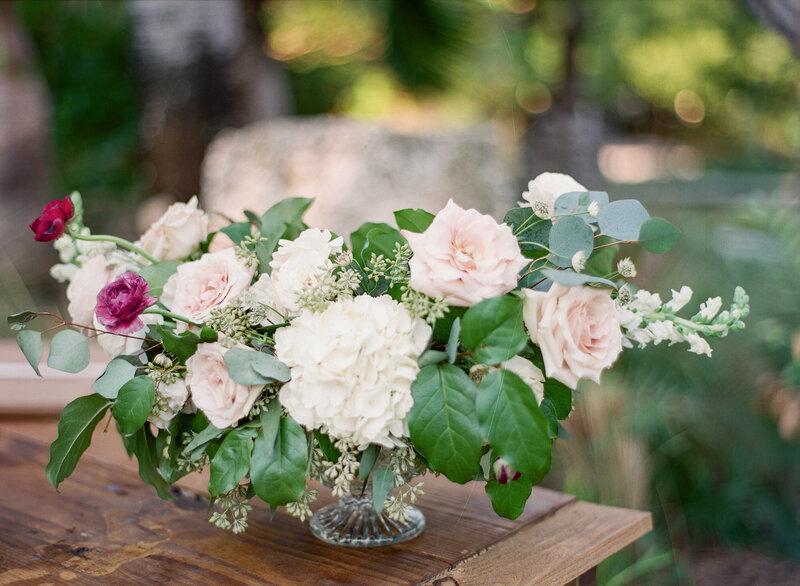 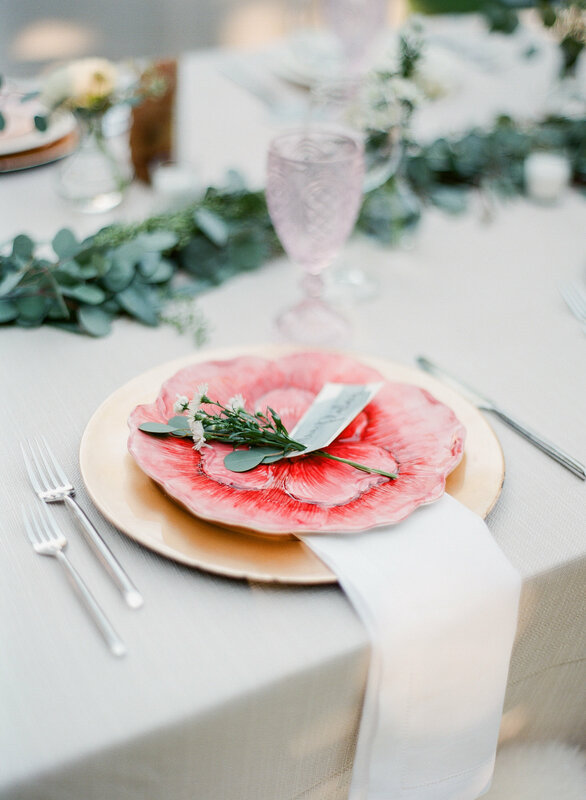 The romantic aesthetics designed for the Backyard was the work of Primrose Florals, The Creative’s Loft Team and the beautiful tablescape elements from different top vendors. 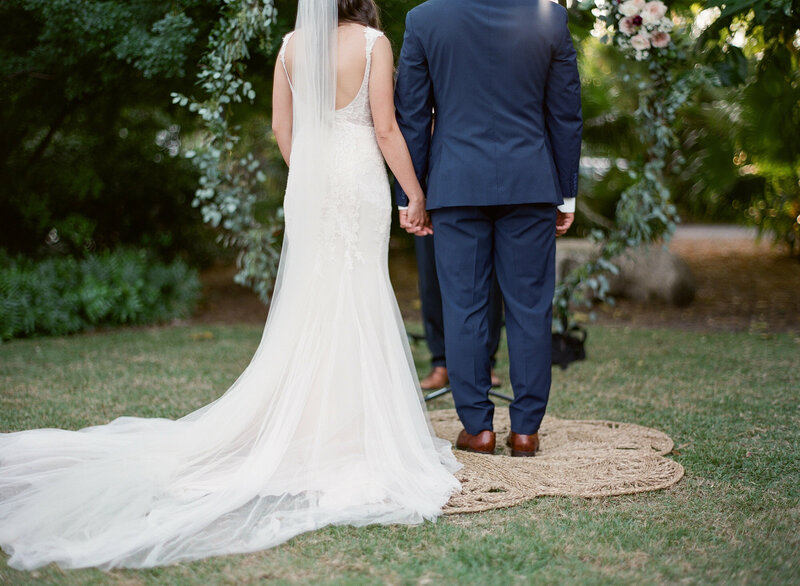 Endless Thank You to our awesome team! 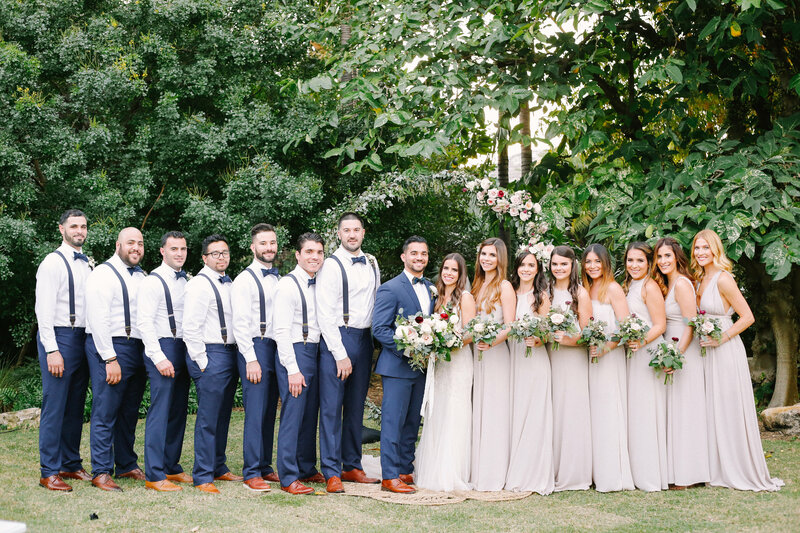 We wanted to thank you to the overall team behind the scenes. 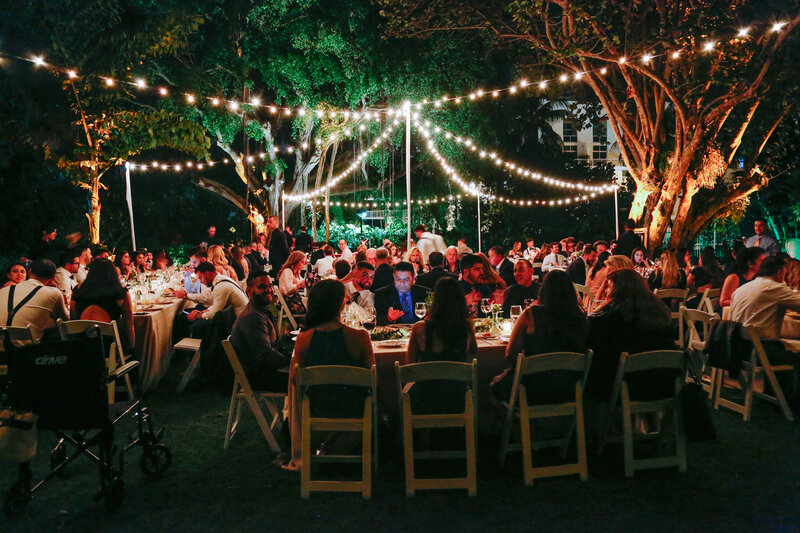 From all the vendors mentioned above to our staffing and catering company, lighting guys, DJ and transportation! 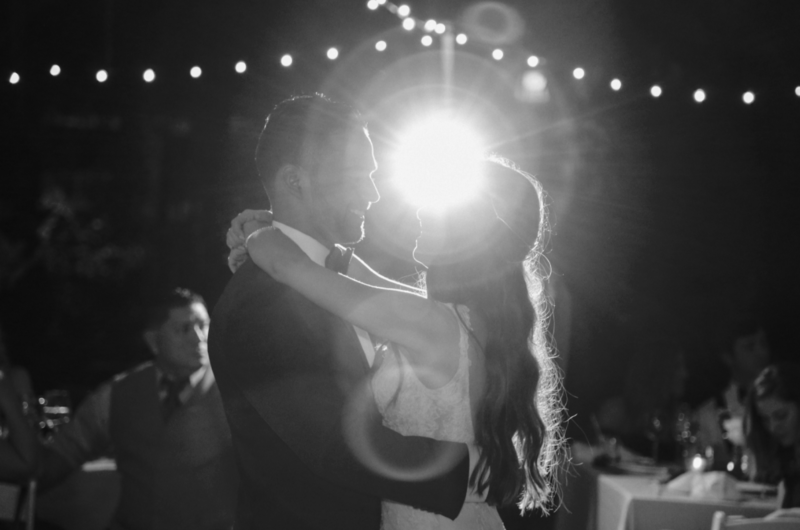 Thanks for making our dream come true once again!